This post contains affiliate links. Thanks for supporting Pitter & Glink! Hey, y'all! 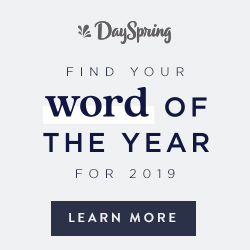 Are you enjoying your summer? Yeah, I know it's technically not summer yet, but my summer vacation is in full swing! I am enjoying a break from school and more creative time. Today I'm sharing some of the fruits of my extra creative time with y'all. 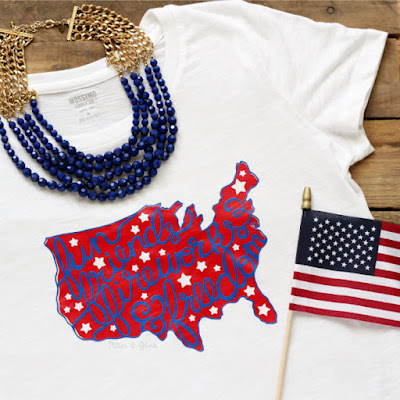 Check out this fun Fourth of July t-shirt that I created with a cut file I designed. 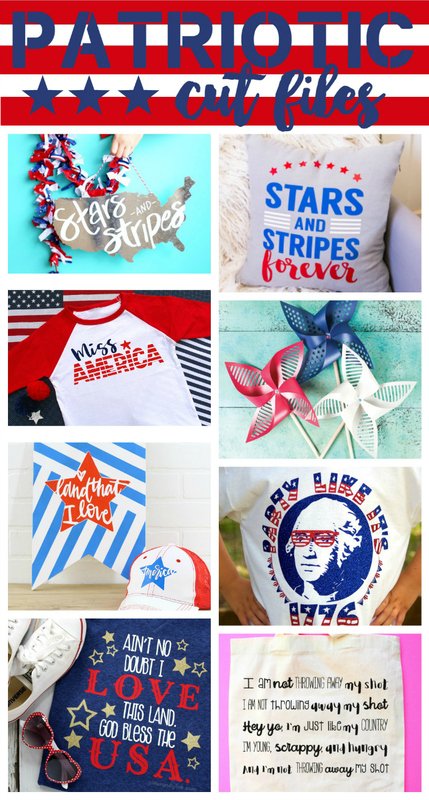 Of course, I'm sharing the FREE cut file with you today, and as an added bonus, at the end of the post I'm sharing links to some other fabulous Fourth of July cut files from a few of my blogger friends, and there's an awesome giveaway!!! I live in a very small town in the South, and when I was younger, every year I would get so excited to go to the local high school rodeo. Everyone in town would be there snacking on the tastiest boiled peanuts and listening to the rodeo clown tell jokes. Country music was always blaring on the loud speakers, and mixed in with all the cowboy songs were always patriotic songs. 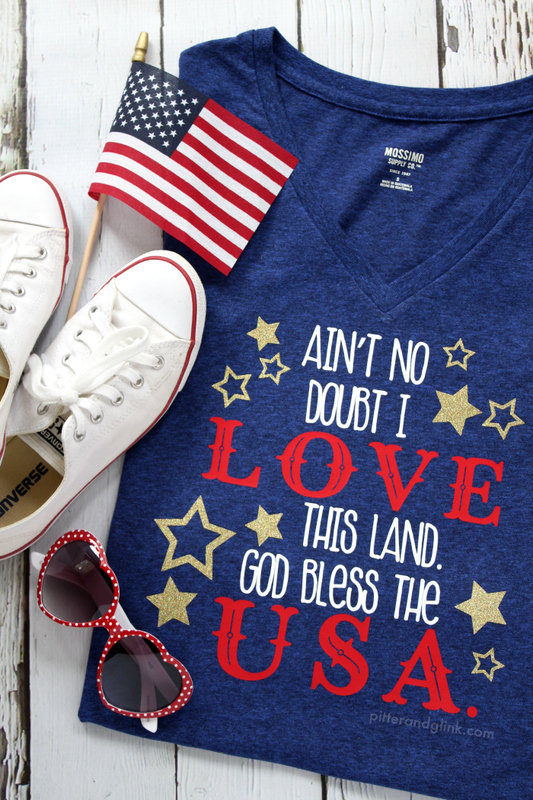 One of the most notable was Lee Greenwood's "God Bless the U.S.A." Blame it all on my roots (see what I did there...), but when I decided to make a cut file for the Fourth of July, that song was the first song to pop into my brain. I did a little work in Adobe Illustrator and whipped up this fun design that just screams FOURTH OF JULY to me! You can download the Silhouette Studio file and/or the SVG file below. 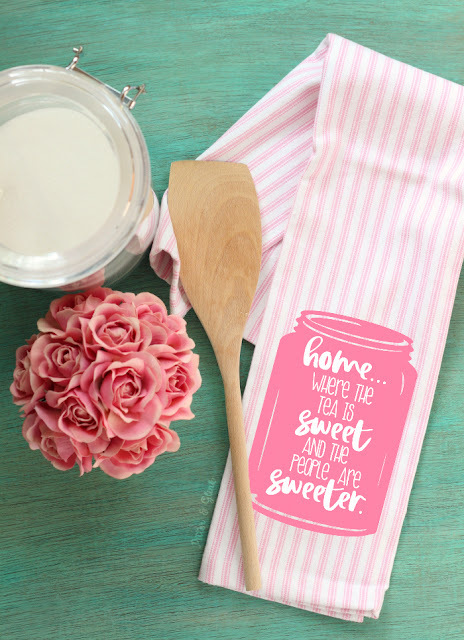 Click here to download the "Love This Land" Silhouette Studio File. Click here to download the "Love This Land" SVG File. 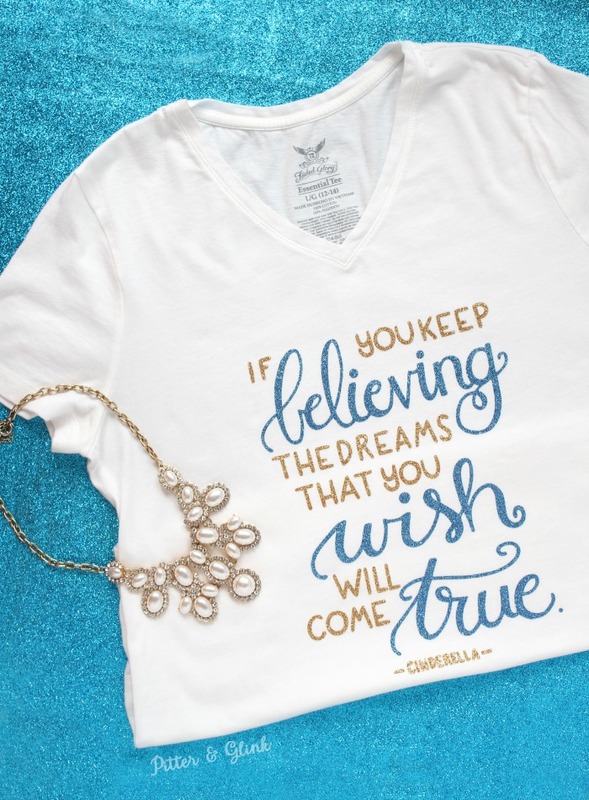 After I created the design, I used my Silhouette Cameo to cut some heat transfer vinyl from Expressions Vinyl. I cut the small text from white HTV, the large text from red HTV, and the stars from gold glitter HTV. If you'd like to purchase some HTV to use with your Silhouette or Cricut and help support my blog at no extra charge to you, check out my affiliate links to Expression Vinyl's easy weed heat transfer vinyl and glitter heat transfer vinyl. Once I had the design cut, I ironed it onto a t-shirt I bought from Target. 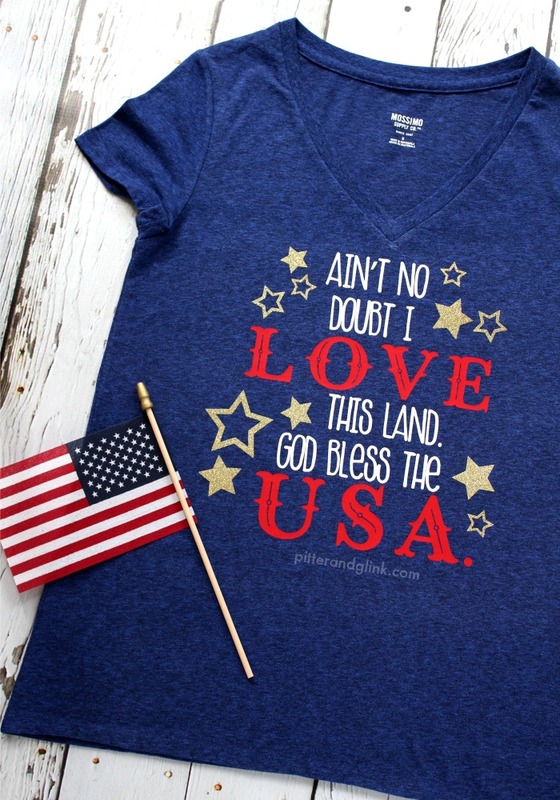 This tee is perfect for showing your patriotism on the Fourth of July! I'll tell you what else is perfect for showing your patriotism: any of these FREE Fourth of July cut files from my blog friends. Check them out! Aren't they all so great?! 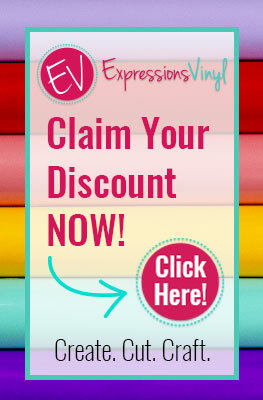 Before you leave, be sure to enter the giveaway below sponsored by Expressions Vinyl for a chance to win an awesome prize! Love this! ❤️ Thanks for sharing. Bethany, you did a "bang" up job (play on words, lol) on this fourth of July shirt. Beautiful and thanks for sharing your artistry with us. Hugs! Happy 4th!! !